My name is Bob Rieger, and I have leased a pier at SkyPi for the past two years. I thought it might be useful to share my experience with other astro imagers who are considering installing their equipment in Pie Town, New Mexico. First of all, any remote observatory experience is only as good as the people and support behind the operation. John and Jan Evelan are first rate capable and considerate folks who go out of their way to make sure everything is set up, and runs well at SkyPi. I believe it fair to say that during our business relationship we also developed a personal friendship. There was never a time where the answer “no” was uttered. Issues both within, and outside their control were always cheerfully addressed. Many times John went out to the scope in the middle of the night to wiggle a cranky USB cable, or check on, and adjust a scope function that just didn’t seem to be working quite right. More extended attention, for example delicate collimation, was never a problem…John cheerfully spent hours tweaking knobs and settings until my star images were just quite right. I cannot say enough about the customer care and attention I received at SkyPi. I don’t believe I have to say much about sky quality. It is superb. My only complaint was that John never did seem to be able to get a handle on reducing the full moon each month. On a slightly more serious note, there is one factor to remember. The good news is SkyPi is remote, and the sky is dark. The bad news is SkyPi is remote, and hence the Internet by default is satellite. This does present intermittent issues with latency, and weather can sometimes negatively affect communication. Over the past two years the situation has vastly improved as John installed redundant networks. I also understand that going forward it will probably not be a significant factor because of a new satellite with extended bandwidth. In any event, it has not materially affected my ability to image. One point to remember is that data download needs to be scheduled between midnight and 5am, which is a free period for SkyPi. While it is always better to have all your equipment configured for remote operation before shipping, or bringing it to SkyPi, John has always demonstrated a willingness to do whatever is necessary to get you up and running. He is an experienced mechanical and electronic engineer, and has devised several midnight workarounds to keep everything functioning. In short, I wholeheartedly endorse SkyPi Remote Observatory for anyone considering an advanced astro imaging hobby. 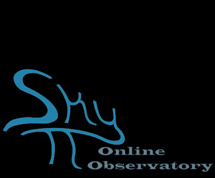 We are very proud and happy to be a “founding” member of the SkyPi Observatories and with good reason. A remote observatory is a very complex system with a lot of moving parts with multiple points of failure. If you want to have a successful operating system you need a reliable system infrastructure, good service and prompt response when things go wrong. Throughout our tenure at SkyPi John Evelan and his team has endeavored to provide fantastic service and support whenever we’ve had issues, at any time. We love that. After carefully searching for the ideal location to host our Astronomical Telescope for Educational Outreach (ATEO), we chose SkyPi Online Observatory. Not only did the physical location turn out be phenomenal for imaging and research but the service provided by the staff went completely above and beyond what are expectations were during the install of the telescope. Their response time to any technical issues and special requests is extremely prompt. We cannot imagine hosting our remote robotic telescope anywhere else! I have had my Paramount MX and 14.5” iDK setup at SkiPi for a little over a year. John and Janet we extremely helpful in getting me setup on site. I was moving from a site in Southern Arizona, but was buying a new OTA. They arranged to the have OTA shipped to here home in Mesa and transported it to the site, which was a major help. The observatory pods are very well constructed and the piers are exceptionally solid. They had a plate setup that matched my MX bolt pattern so it was a simple matter of getting everything in place and connected. There has always been someone available to help with everything from switching out adapters so I could reach focus to adjusting polar alignment. Recently my MX need new RA/Dec belts and lubrication. John and Mike took care of that and it saved me from having to ship back to Bisque for service, my MX performs like new now. Over the time I have been on site, John and team have addressed everything from having to reboot my computer systems, to reseating USB cables. I have every confidence in them. As for my setup – I have a Paramount MX holding a 14.5 AG iDK. I keep through the mount cabling to a minimum and only have a 12VDC cable through the mount. I run all the USB through an ICRON USB extender. Everything runs back to a 9U computer cabinet that holds a Server Rack mount computer, 12VDC power supply, 24 port network switch and APC UPS battery backup. Power is controlled by a network addressable switch. All my control component are rack mount. For software, my computer runs Windows 7 professional, and I use both ACP and CCD Auto Pilot (CCDAP)). I use CCDAP more than ACP since I have lots of issues with MaximDL stability. Network bandwidth has been sufficient to login in remotely and run the system for the entire night. I use GOTO MYPC for remote access. In short, the site is fantastic, both in terms of the seeing, darkness. I worked at Kitt Peak for many years and the seeing and atmosphere at SkyPi is as good, if not better. Support is second to none, John’s has the skills and background to sort out any issues. My astroimaging equipment has been stationed at SkyPi Observatories, owned and maintained by John & Jan Evelan, since November 2015. During that time I have learned that a remotely operated observatory can encounter many issues with hardware, software, and connectivity for a multitude of reasons. One thing that has impressed me deeply is that John and his crew of technicians have always been available and have toiled tirelessly, if needed, to solve the issues and keep my equipment running. SkyPi skies and seeing have been great outside of the monsoon season (July –September) with 1.5 – 2 arc-sec seeing being not unusual. I have enjoyed many fine nights of imaging at SkyPi and am looking forward to many more. John and Jan have treated me very generously and are easy to work with. Without reservation I highly recommend SkyPi Observatories if you are seriously interested in astroimaging.